Everybody knows the classic casino game ROULETTE. It is arguably the most popular game in a casino, alongside blackjack and slots that is. 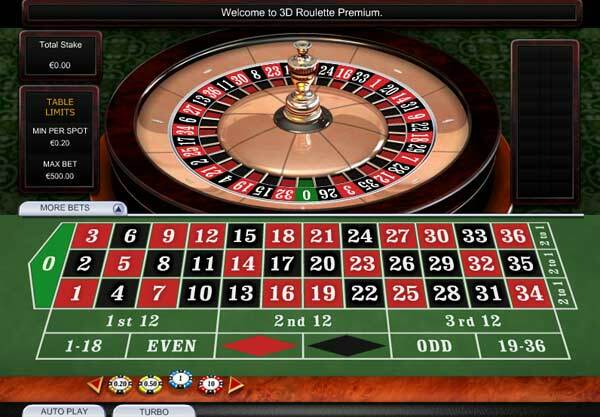 This new version of roulette has been released by Playtech at their best online casinos and gives a real 3D effect for online casino gaming for those that have 3D enabled systems. The screens are clear and crisp and it really feels like the wheel is right in front of you. The game shares the same rules as the standard european roulette pro game. There are the usual numbers 1 to 36 coloured in red or black and a green zero. You choose the size of the chip you want to place and choose where to place it. You can make more than one bet on a single spin of the roulette wheel. You can place a single number bet, you can span a chip across two or four numbers. Each of these bets will increase your odds of winning but reduce the payout. You can then choose 50/50 bets like red or black, or odd or even.